The Holland will house up to 90 adults at a time, serving 150-180 additional people per year. This program is a critical component to end homelessness in Oakland, and the expansion will help reach more Oaklanders than ever. The first program location, the Henry Robinson Center, historically called Hotel Touraine, located at 559 16th Street, has been open since 2013. The Henry Robinson Center has 137 beds for short-term housing, moving community members directly from encampments into the program. 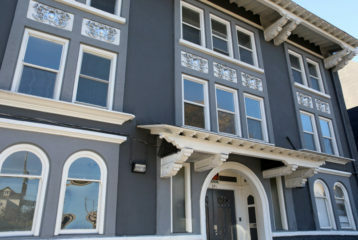 The City of Oakland owns the site of The Holland at 641 Grand Ave, a three-story Arts and Crafts style residential hotel historically called Hotel Holland, designed by famed local architect Julia Morgan and built in 1906. BACS is contracted through the City of Oakland to provide innovative housing services to residents.